When thinking of a Fortune 500 company and three key words that would represent this company two letters popped into my head. Those two letters made me think of America, NASCAR, Country Music, and Bob Seger. As a youth in Southern West Virginia a Chevrolet was a right of passage not a vehicle per say but freedom with a bowtie wrapped around it (or on the grill). Growing up in a rural community meant travelling to the store by vehicle and that trip would usually end up being an all day road trip with the family. 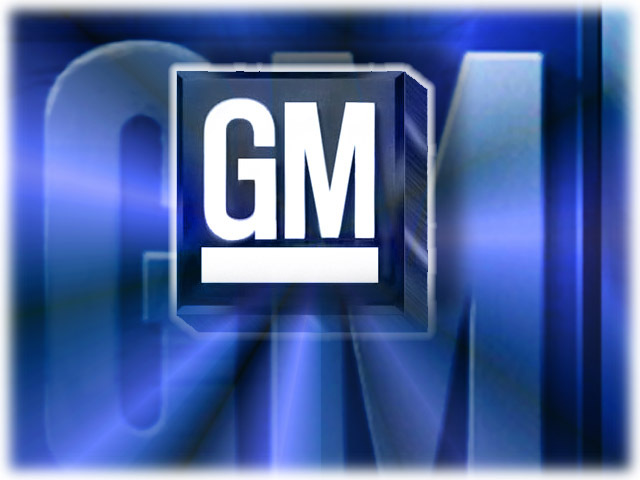 For these memories the Fortune 500 company I decided to research is General Motors, better known as GM. One of the Big Three and with $152.3 billion in earnings and 13 consecutive profitable quarters the company is currently number seven on the Fortune 500 list. Down two spots from last year as profits dropped $3 billion from 2012. Put them together and they actually represent what General Motors has done since the automobile bailout. The company has restructured and has recovered with big profits as well as having repaid their loan to the United States Government and taken new direction. The keywords in themselves have found a bit of trouble as far as search optimization goes. 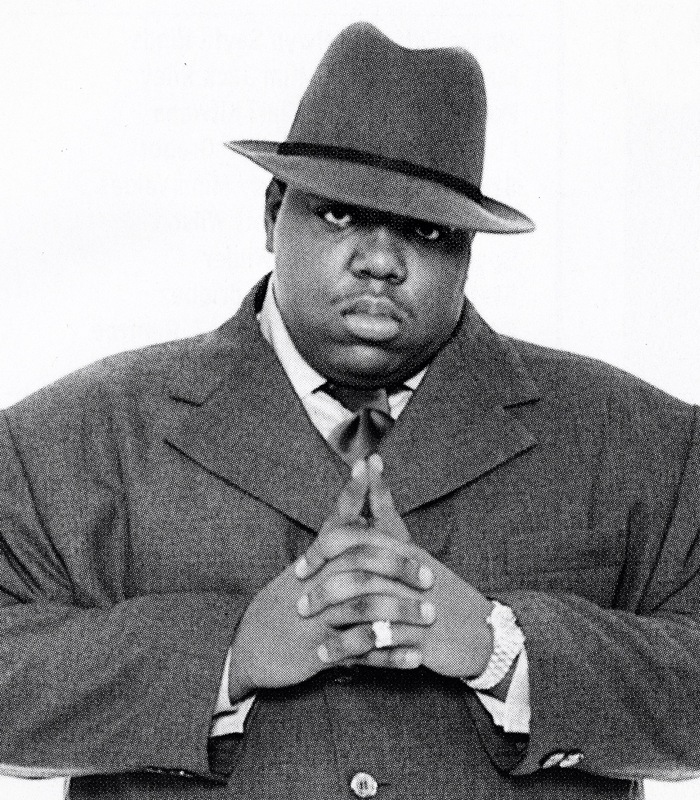 The term Big when “googled” gave me the NOTOTIOUS B.I.G., a dead rapper from the mid-90’s who’s music is still relevant today (RESPECT to BIGGIE). Not quite the optimization chops that I would have thought that GM would have. But upon putting GM in front of Big I found a few options, and an article with the name “Big trucks, Small cars lift GM’s sales 11%” (Colias, 2013). Upon searching Profits I found profits from the bible and there were no cars 2000+ years ago so again I used GM Profits and found the article, “GM Profitable for 13 straight quarters” (Higgins, 2013). I wanted to finish my search with recovery and as I “googled” recovery the name of yet another rapper popped up; EMINEM. So when adding GM to recovery I found the article stating that, “GM plans about $16 billion in US investments by 2016” (Higgins, 2013). A positive sign that GM is recovering very well, so in short the company is doing well but could use some search optimization. Perhaps the company should take some advice from the HIP HOP world in order to increase their stake in the world wide web. This entry was posted in Uncategorized on May 8, 2013 by meadowsc18. The numbers never lie, and the numbers are almost unbelievable when it comes to active users on Facebook and Twitter. If anyone would think that a single source would have 500 million users with 1.5 billion creating business profiles on Facebook’s platform. Twitter has over a billion users and three million activating new subscriptions daily. With these numbers any company has to recognize the ability of these entities for getting a message in front of the most people. The advantage of this is the cost per customer, frequency, cost and return on investment. 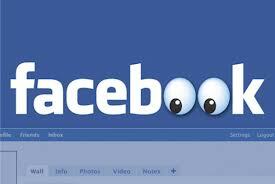 The disadvantage of both Facebook and Twitter is hackers, mistakes, and saturation of the platform. These two companies for both the advertisers and the members of the websites sacrifice privacy so far as demographics and buying trends, as well as more useful information for potential marketers such as likes, views, marital status, income potential, and musical taste. There is considerable data mining and selling of the information. Marketer’s can sustain “many to many” conversation by allowing users to voice opinions on the page or tweet what they think on the page. This entry was posted in Uncategorized on May 2, 2013 by meadowsc18. 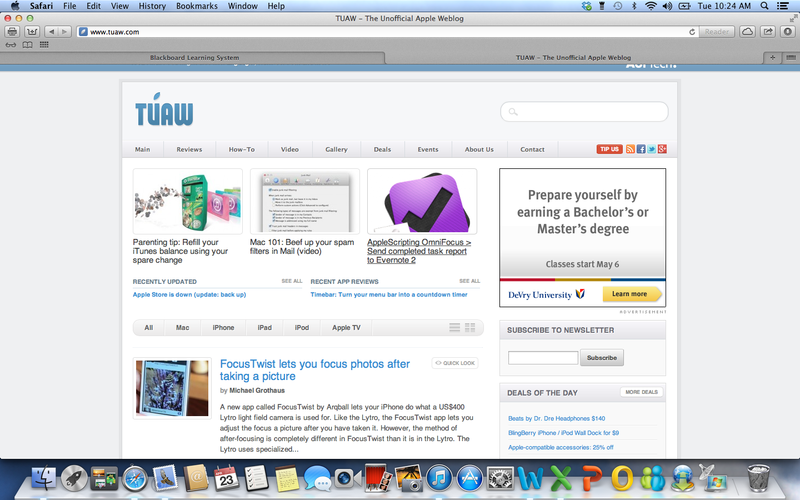 TUAW is the unofficial weblog of Apple. The blog is essentially a web review of all things Apple related and accessory type items. The website focuses on applications and help items for iphones such as protective cases. I personally thought of the unofficial blog for Apple because so many products in my everyday life are Apple. I have a MacBook Pro, iPod, iPhone 5, my son has the iPad 2, and my girlfriend was the recipient of an iPad Mini this Christmas. The company produces many great products and to find a website that is not sponsored by the company but still heralds the product is a great opportunity to learn more about what is available for the Apple lineup. All Apple products are represented by TUAW, and the running theme seems to be the applications and products that add to Apple. 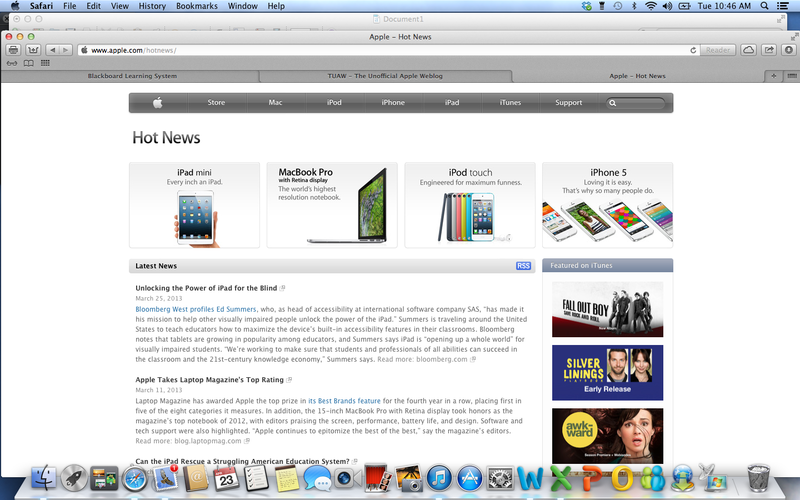 There are also articles on the goings on at Apple such as the stock options, recalls, and of course product launches. The difference between the official Apple Blog, at www.apple.com/hotnews and the unofficial weblog www.tuaw.com is the subject matter and style of writing. TUAW is very mindful of the opportunity to effectively sponge off of what others create while the official Apple blog is more like a Public Relations function. All the information from TUAW is useful because it is an addition to Apple without being self-serving. The blog comes across as a site that is informational with the opportunity to find apps and products for the Apple Products that do not have exclusivity with Apple such as Pelican Cases, and Logitech Fabric Skin keyboards. “As first reported by AppleInsider, Apple has begun restricting the use of special characters in app descriptions in the App Store. For now, the special characters Apple is restricting are the checkmark, the explosion, the “no symbol,” and the speech bubble. 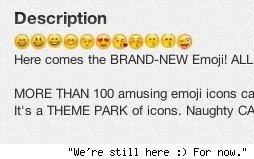 One can only hope that Apple will eventually add emoji faces to that list, some app descriptions have a decidedly unappealing “MySpace” feel. This entry was posted in Uncategorized on April 23, 2013 by meadowsc18. As a study, I went with the Coke Zero unleash your inner 007 campaign. The commercial/film starts out with a guy looking at a Coke Zero bottle that has a silhouette of James Bond and he starts to hum the theme. As he walks to a table of hooligans and an attractive girl, they all start to hum the theme. The guy is pushed down and the girl is taken away. Our hero jumps up and chases after with shenanigans a plenty up until our hero gets the girl. Was the film entertaining? Why or why not? The film was entertaining. It gave an action packed story and had plenty of product placement for Coke ZERO. The use of the James Bond Theme, and the Aston Martin were great nods to the series as well as the over exaggerated traits that Bond has became known for. All that was missing was a silenced pistol and a Coke ZERO Martini (shaken, not stirred). Did the film more closely resemble a movie or an ad? Explain. The film more closely resembled a movie, with advertising traits. There was movie action but plenty of scenes that provided opportunities for Coke ZERO to be shown. My favorite was the Aston Martin scene and in the background were umbrellas with Coke ZERO logos. Where was the film first shown? TV? Online? The film was first shown online, with an offer for people to unlock their inner Bond by putting them through challenges to win free Skyfall tickets. Were subsequent webisodes or video responses created (on YouTube or the company’s Website, for example)? There were only a couple of Skyfall ads and Coke Zero shifted gears and went in another direction. Is the film effective from a marketing standpoint? Why or why not? I think it is very effective. James Bond is the man that many men want to be. 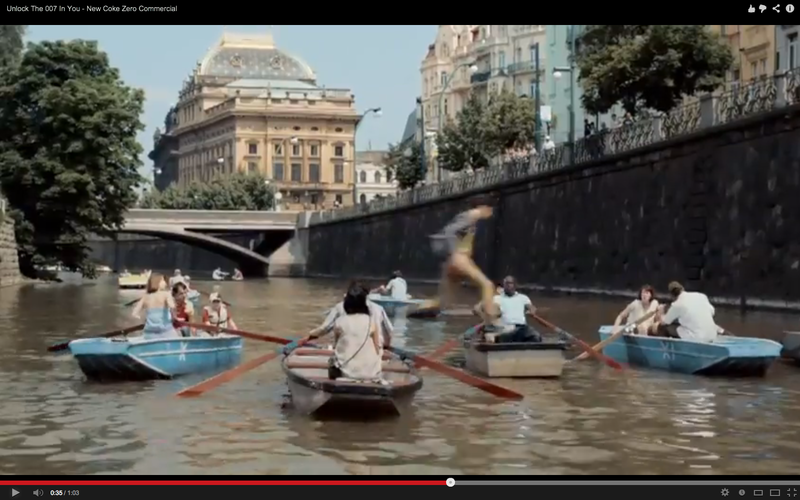 This ad/film gives the average guy the dream and for some the experience of being James Bond if only for 70 seconds. Are short films that attempt to subtly sell products ethical? Why or why not? I think as long as the motive is implied there is an ethical way to effectively market a product in a subtle way. There is no doubt that the film was an advertisement for Coke Zero and Skyfall but it was still a very entertaining piece. This entry was posted in Uncategorized on April 18, 2013 by meadowsc18. For the past three decades, the Make-A-Wish Foundation has been granting the wishes of children with life threatening illnesses. In 1980, 7-year-old Chris Greicius was being treated for leukemia. Every day, he dreamed of becoming a police officer. On April 29, 1980, a caring group of personnel from the Arizona Department of Public Safety wanted to provide him with an experience to lift his spirits. In addition to receiving his own uniform and special treatment from the department, Chris was sworn in as the first honorary DPS patrolman in history. The following day, Chris passed away, but not before seeing his dream come true and experiencing the hope, strength and joy that came from receiving his wish. Based on Chris’ wish, the Chris Greicius Make-A-Wish Memorial, which later became known as the Make-A-Wish Foundation, was born. In November 1980, the Foundation received its tax-exempt status as a nonprofit organization. On May 13, 1983, the Make-A-Wish Foundation of America was officially incorporated. Six Make-A-Wish chapters were operating around the country, and 22 more were established the following year. To date, more than 250,000 wishes have been granted worldwide. The Make-A-Wish Foundation uses pictures to put the children at the forefront and show what the wish is and the achievement of the wish granted. 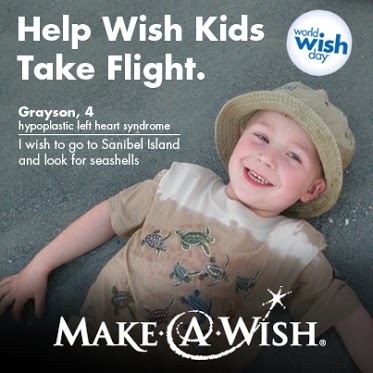 grant wishes for, but he organization maintains consistency in their message and slogan as the “Power of a wish” which is used in all campaigns. It is a strong slogan that serves the purpose of the organization well. 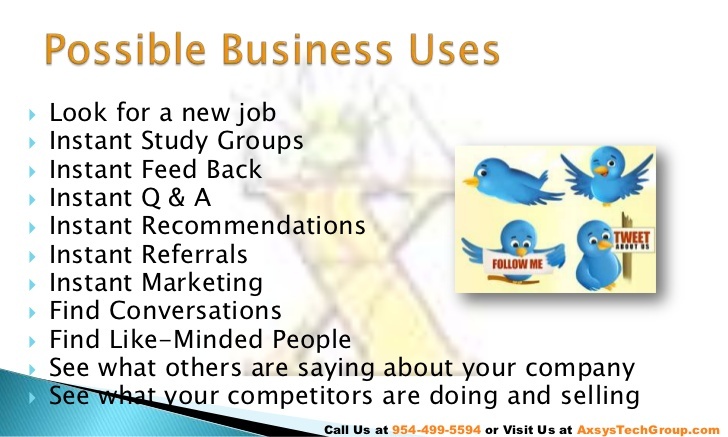 social media marketing efforts to allow people to see what they are achieving. Influence to achieve their goals, and are very successful at it. Donating time and or money to The Make-A-Wish Foundation is very fulfilling, and the organization does a great job getting the message out there to allow people to do so. This entry was posted in Uncategorized on April 10, 2013 by meadowsc18. Keeping the web honest may or may not be a good thing. According to Kevin Goldman, “The idea that a substance should be itself, rather than mimic something else” is a great point, however the web is used to be an artificial extension of the organization that it represents. That being stated shows that the web in itself is not what it shows itself to be. This is not dishonest in my opinion; it is more of an attention-grabbing façade to dress up what may otherwise be mistaken for boring. To tell someone through content that you can design a great website is not the same as designing a great website. Web is an accelerated visual medium that allows the user to see and experience the content provided. Looking at an example of this will come from the website of Kid In The Background Multi-Media Services. The website in itself is of minimal content with a creative flair with a nod to the 1980’s. 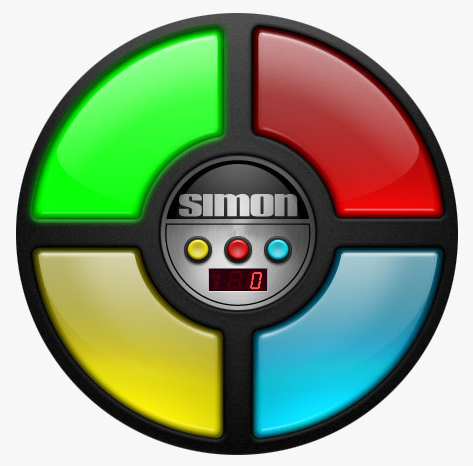 The index is a simon says machine that has content on each of the colored panels. What Kid In The Background has done with the Simon Says approach is to give content in a fun and retroactive way while displaying their expertise in graphic design through example. As far as a first impression goes, the site looks fun and informative while showing what the company has to offer. Future Publishing Limited. (2012, October 23). Future PLC. Retrieved April 3, 2013, from Future PLC. This entry was posted in Uncategorized on April 3, 2013 by meadowsc18. 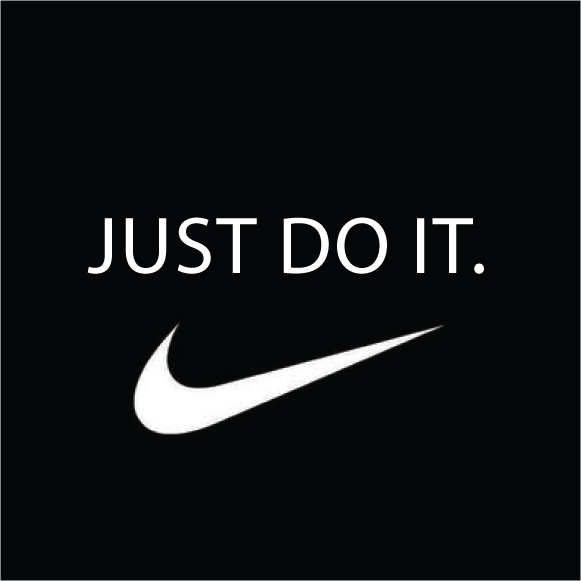 I think what surprised me the most about Nike is that A Chicago based civil rights group named Operation PUSH has questioned Nike’s track record in hiring minorities, and has urged black people to boycott Nike products until the company demonstrates a greater commitment to minority hiring. Ethically, the challenge for Nike to market to minorities is their overseas practices of labor rates. For many years Nike as well as other companies have been under scrutiny for their practice of having factories overseas that pay low wages to their workers as well as having an underage workforce. It would seem that Nike is getting rich by the use of advertising the greatness and taking advantage of thevweakness of minorities. Stabile, C. A. (2003). 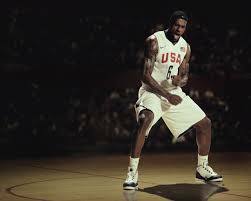 Nike, Social Responsibility, and the Hidden Abode of Production. In Gender, Race, and Class in Media. SAGE Publications. Wilsey, M., & Lichtig, S. (n.d.). The Nike Controversy. Palo Alto , CA: http://www.stanford.edu. This entry was posted in Uncategorized on March 27, 2013 by meadowsc18.